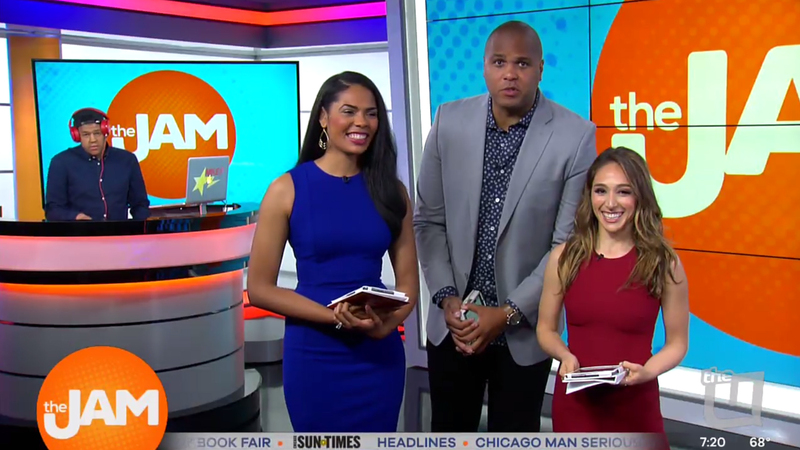 Chicago’s WCIU kicked off a new morning show Monday, July 31, 2017, that sports a fresh color palette and design anchored around the “pop dot” halftone effect. 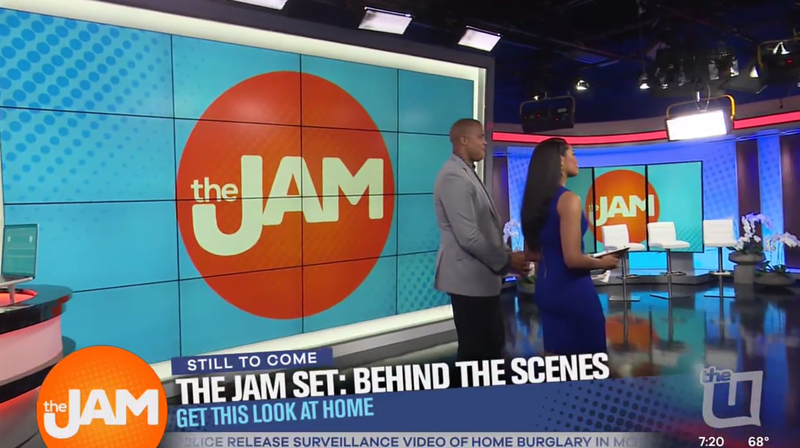 The show, produced by WCIU, the independent station in Chicago owned by Weigel Broadcasting, replaces “You & Me,” the station’s morning offering that was axed in March. 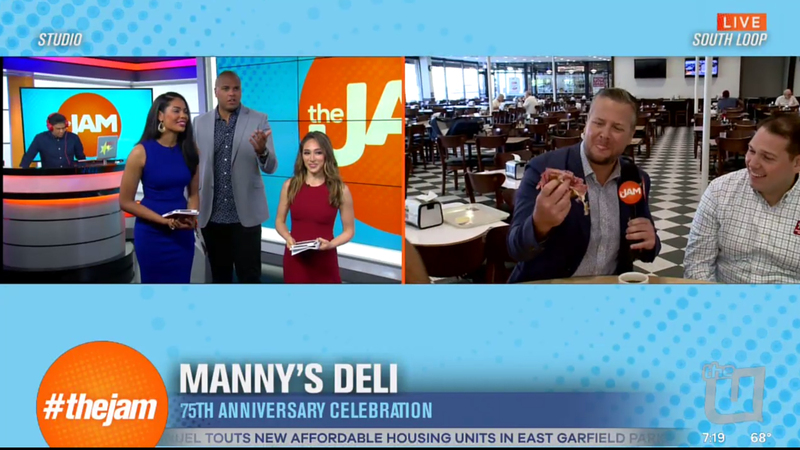 WCIU brands on air as “The U,” and got a new logo in June. 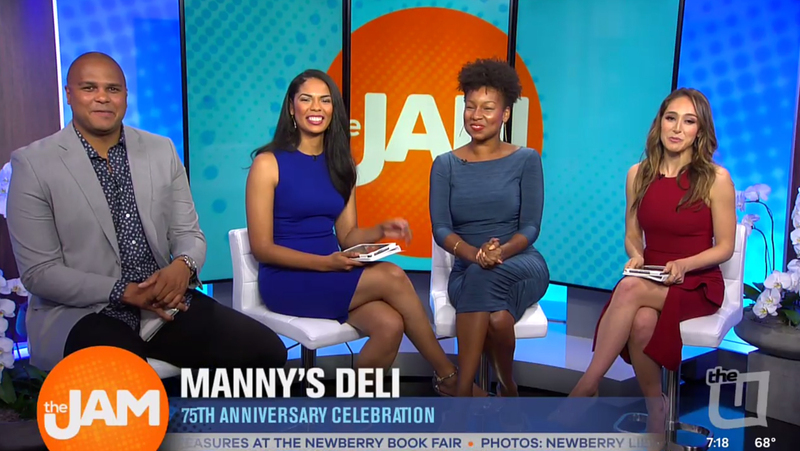 The show, which is titled “The Jam,” hosted by Jordan Cornette, Felicia Lawrence and Danielle Robay, features a mix of news and lifestyle content as well as a heavy social media component. The set, from FX Design Group, features a tall video wall with internally lit frame at the center of the studio space. Camera left is a standup-style pod used as a DJ booth with flatscreen situated in a corner featuring backlit panels. The far left of the space features a vertically mounted flat panel along with colorful vertical bars all placed in front of a printed background featuring the halftone effect and backed with color changing lighting. 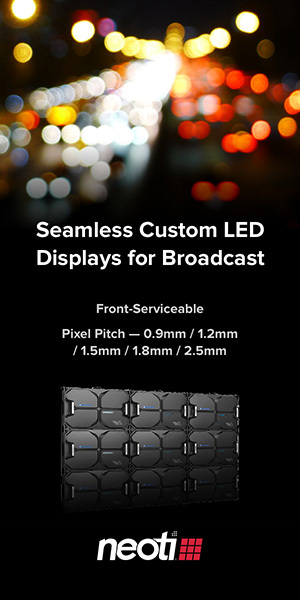 Meanwhile, camera right features a three-panel vertically mounted curved flatscreen array placed in front of a floor-to-ceiling expanse of a background that also features the halftone effect. Additional vertical pillars and a rolling flat screen add to the flexibility of this space. The set also features a sleek, gray finish with revel lines that helps anchor the sides of the set as well as to disguise the structural column that intersects in the middle of the studio space. The set also features thick color changing backlit bands running along the headers and, on the left side, footer. Given that the show has to accommodate a wide variety of segments, each venue can be used for a variety of purposes. For example, the triptych-style video array is used as a sort of home base with talent sitting on high stools, while it can also be used for standups. 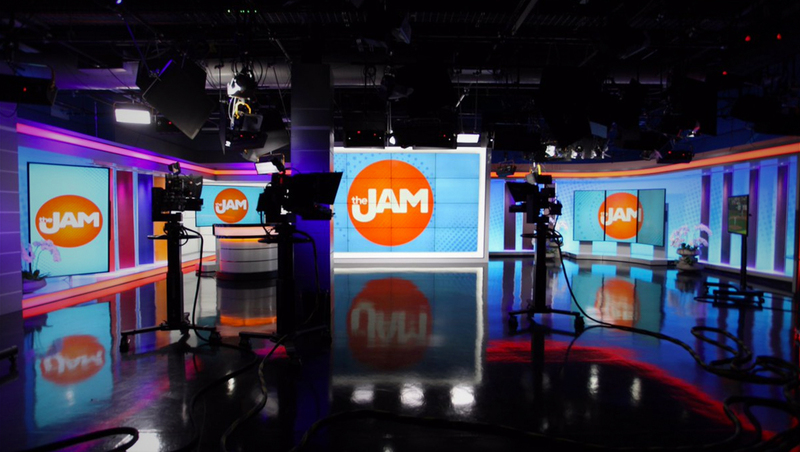 Likewise, the main video wall is used for standups, anchor wide shots and demo-style segments. 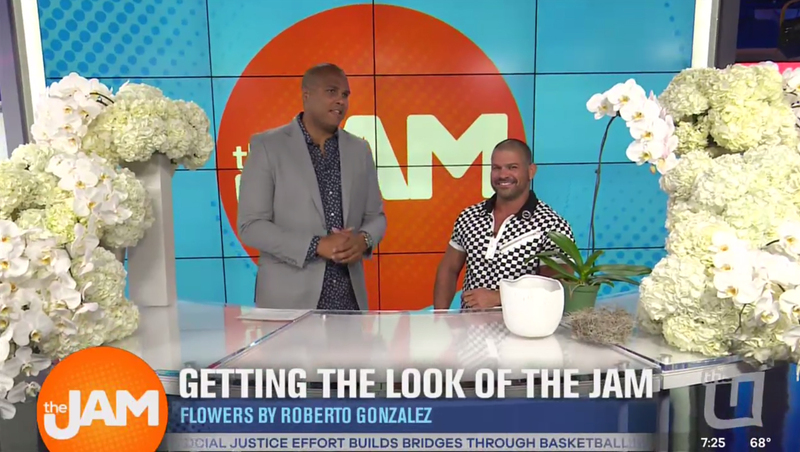 The station introduced its new set Monday with a timelapse video of the installation process, along with a segment with florist Roberto Gonzalez, who provided the flowers scattered around the set. Gonzalez also worked on floral designs for the Chicago-based “The Oprah Winfrey Show” during its run. 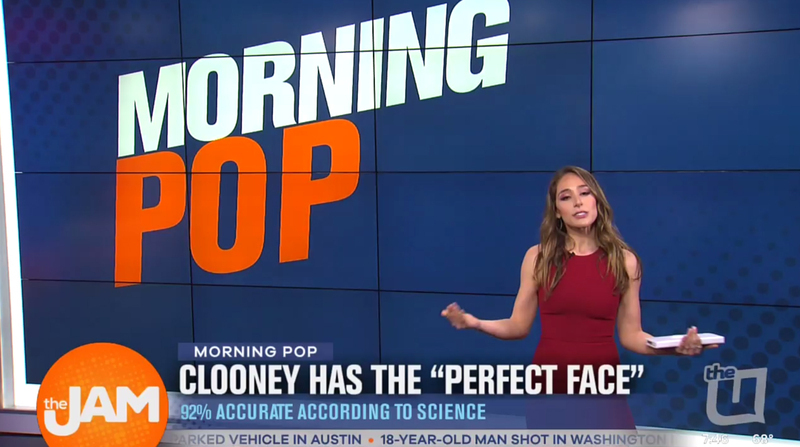 The show’s graphics package, meanwhile, match the set’s vibrant, bright look.